Maria Chedid regularly serves as lead counsel in commercial and investment arbitrations. She also sits as an arbitrator, and advises on international law disputes in U.S. courts. In a recent arbitration, Ms. Chedid co-led a successful representation resulting in a USD 800 million arbitration award in favor of her client. One of California’s Top 100 Women Lawyers, Ms. Chedid has been recognized for her expertise in Chambers Global, Chambers USA, The Legal 500 U.S., Super Lawyers, and Guide to the World’s Leading Experts. In these and other publications, clients “commend her handling of complex disputes,” “praise her ‘highly effective advocacy,'” and “describe her client relationship skills as ‘outstanding,'” while peers note that she is “superbly prepared,” “exceptionally talented,” “relentless,” “very thorough,” “expert in damages issues,” and “largely unflappable.” Ms. Chedid is “particularly noted for her capabilities in IP disputes,” her “expertise in Middle Eastern disputes,” and “matters involving Asian and Latin American parties.” She is highly regarded as “an excellent lawyer and a pleasure to work with,” and consistently has been named to the annual “Tech List” of the world’s leading technology arbitrators. Ms. Chedid is the co-author of an arbitration textbook chapter entitled “International Arbitration of Intellectual Property Disputes,” and is frequently called upon to speak and provide training on the topic to both corporate and outside counsel. 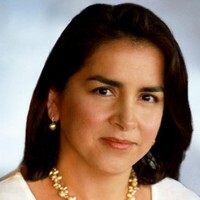 She is one of only two U.S. representatives appointed to the International Court of Arbitration of the ICC; Co-Chair of the ICDR California Advisory Committee; a U.S. member of the National Committee for the Singapore International Arbitration Centre Users Council; the founding President and Co-Chair of the California International Arbitration Council; and an adjunct professor of international arbitration at the Straus Institute for Dispute Resolution.